We're pleased to announce today Philipp Schonger as the new leader of Puget Sound Kiteboarding Association! We're also excited to announce a new structure to the association, designed to engage more community involvement and bring pskite to the next level. The current leadership team - President, Roberto Soza, and board members Pat Daniels, Sean Bold, Darcie Gray, and Jesse Thetford are transitioning leadership to Philipp and a new leadership team structure. Exiting leadership team members will continue to be active community members in the new structure. • Launched a formal beach access and safety program. • Led and/or supported community annual beach clean ups. • Led and/or supported community efforts at multiple beaches from real access issues related to development and insurance (Juanita Bay, Damon Point, Edmonds). • Funded and installed two new wind sensors, established new links to regional wind data via http://www.windsurforegon.com. • Hosted well attended fund raising/social events. • Maintained and expanded industry retailer and brand relationships. • Worked with peer organizations (CGKA for example) to share best practices. • Worked with Port of Everett to promote kiteboarding at Jetty Island as a part of the Everett waterfront development plan. • Managed http://www.pskite.org and put plan together for rationalizing community online tools nwkite.com, facebook, others. • Represented community at industry events. Moving forward, the pskite board of directors concept is being retired. The reason is the president / board structure turned out to be a bottleneck in which the leadership team did what volunteer work their busy lives allowed, serving the community as "customers". There was, and will always be, limits to what a small team of volunteers can deliver to the community. People burn out with the old structure and find it unsustainable. While the output listed above can be considered successful, we know we can do better through a different organization that will be more sustainable and scale-able across the entire community. A way to open up the system to more community participation, leading to more outputs, is to engage more of the community through work streams concept. This will be a "flatter" organization with work streams working directly with the leader of the association, now Philipp, as opposed to going through a board of directors. The new structure will have community members signed up for volunteer work in one of the defined work streams. The idea is to get lots of people involved in projects on a rotating basis, tapping into and leveraging the collective experience and skills of the entire community. • Beach Access, Safety, and Learning - beach manager program, relations with local authorities, alignment with kite schools regarding safety education (one incident could shut down a beach for us all). Philipp will soon announce the upcoming fall pskite fund raiser and party. During that event, we'll discuss the new structure in more detail, enlist community members to sign up for activity in one of the work streams, have fun raising funds for pskite projects via the sponsored raffle, and enjoy the stoke of Puget Sound kiters over food and drink. Philipp brings a lot to the table - professional leadership experience from his "day job", years of experience kiteboarding in the Puget Sound, the Gorge and around the world, some of the biggest airs around, lots of stoke, energy, and a passion for the sport and community. 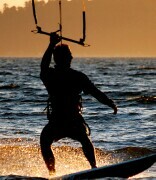 Please join in welcoming Philipp, effective immediately, as the new leader of Puget Sound Kiteboarding Association! 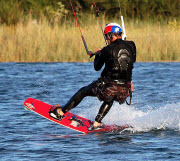 This includes the overall association of kiteboarders living and kiting in the Puget Sound Region, not just the web forum - http://www.pskite.org - which is one element of the association. Thanks guys! Super stoked! The previous BOD has done a great job as described in the announcement. A lot of us, including myself, were not even aware of all the work and effort that was put forth for the community. Thanks again previous BOD - Roberto, Patrick, Sean, Darcie, and Jesse! - This sport is all about having fun and be stoked - let's always remember that! With the new workstream approach there will be more opportunities for community member involvement in getting things done. We'll discuss more during the upcoming PSKITE Fall Party (stay tuned), but if you have any questions, feedback, concerns, or if you want to sign up to be a volunteer or you have a special skillset, or more importantly any ideas to make this the best kiteboarding community on the planet, please feel free to ping me anytime. Until soon! Thanks! Thank you to the exiting board members for your efforts. Thank you Philipp for stepping up to challenge us all to continue the efforts to build a solid community of responsible kiters! Live the journey because every destination is a doorway to the next one! Thanks Bob for your support of pskite over the years and moving forward! As an exiting pskite board member, I'd like to say - it's been a pleasure to be a part of the pskite leadership team over the last 2 years and to have had the chance to work with so many of the supportive, positively engaged community members! It's the combined efforts of all of us that make this community special and worth being a part of. I look forward to continued advocacy and actions in support of Puget Sound Kiteboard Association! Moving forward pskite is in good hands. As an exiting pskite leadership team, we asked ourselves who would be the ideal next leader.... and it was clearly Philipp Schonger. His boundless energy, huge stoke, and natural leadership talent; combined with the new structure of pskite focused on community work streams, positions us to make the pskite community better than ever - more fun, more events, more stoke! Thanks all for the time and hard work the previous board put in for the betterment of all northwest kiters. And congrats Philipp, I think you're the perfect person to continue carrying the pskite torch. Glad to hear about the new energy and direction. I have always enjoyed the fellowship and I like the site for what it has brought to us all.